I’ve never lived in New York, and I’ve never been a nanny – though I had a friend at UNC who was an au pair in France the summer after we both spent our junior year of college there. But I did raise four children of my own, sans nanny or day care. 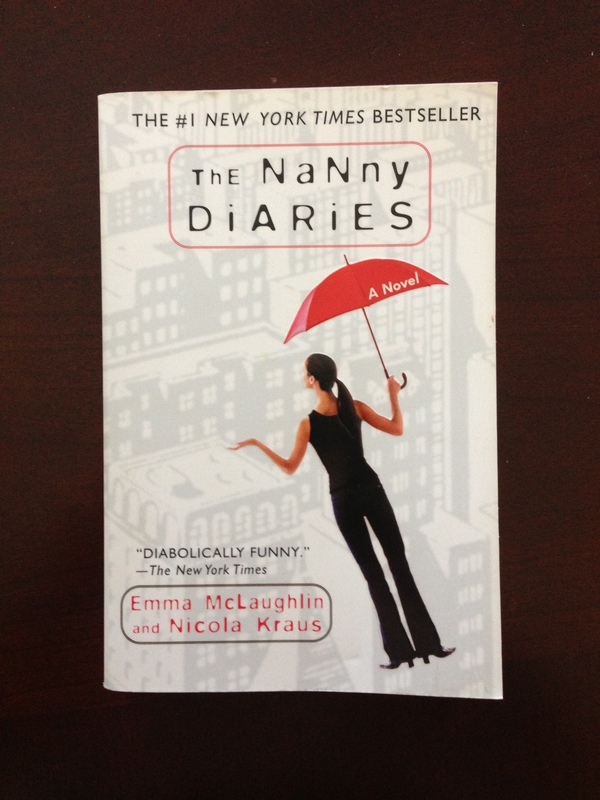 So when the book THE NANNY DIARIES by Emma Mclaughlin and Nicola Kraus came out 10 years ago, I loved it, not because it was about bringing up someone else’s a child, but because it’s hilarious! Some people have a different sense of humor than mine, and some don’t have one at all. C’est dommage (that’s a shame), à mon avis. For me, being able to laugh with others has been essential, especially during life’s trials. In my novel MAKE THAT DEUX, Jenny (the protagonist) is 19 turning 20, just a few years younger than Nanny, the au pair in TND. Like Nanny, she’s dealing with a world very different from the one she’s known: une culture étrangère. Jenny does the best she can, under the circumstances, and (I hope) with a sense of humor. Her story is quite different from Nanny’s, but in a way, Nanny’s story influenced the way I tried to tell Jenny’s: through the eyes of a 20-something young woman who tries to keep her sense of humor while dealing with stress. Stress isn’t easy, and we all face it now and then, or maybe, continually. Il vaut mieux en rire – it’s better to laugh about it than cry – even if we don’t feel like laughing. But I’ve found that a little levity helps, even in the worst of times. One of my sons is a brain cancer survivor. He was diagnosed almost 3 years ago, on his 19th birthday. The next 6 months was the most difficult period in our family’s life – and we’ve been through some other serious trials. He underwent two surgeries, one them incredibly scary, and five weeks of radiation therapy. His first “clear” MRI was done that fall, two days before his grandfather, my dad, passed away peacefully at the age of 83. My son has been cancer-free since then, and when he and I look back at that time, we don’t just remember the shock and fear that we both felt, the tears that we shed. We also recall – and still talk about – the funny things that happened in the midst of it. We thank God – and the talented doctors at Duke – that he survived, and we remember being afraid that he wouldn’t, that he might lose his young life. We weren’t looking for “the funny” then, but somehow we recognized it when we saw it: some of the things that happened made us laugh – out loud. And they still do, today. Life is precious. Laughter is necessary. My father made me realize that when I was young. His quirky sense of humor was terrific, and he was a great joke-teller.